Reason I choose it: I'll read anything to do with a letter. My letters to you, my darling Noah, will be maps, in which I hope I can be found. Yelena, a brilliant but flawed Ukrainian ballerina, comes to the UK to fulfil her dreams and dance in one of ballet's most prestigious roles: Giselle. While researching content for his new book, Yelena meets Noah, and here begins a journey of discovery. Life takes an unexpected turn, and the two write letters in which they try to provide a blueprint of their lives and find their way back to each other. But during this process, Yelena visits the darkest corners of her life and, before she knows it, her past begins to catch up with her in ways she can't control. A dark, intricate labyrinth, Letters from Yelena explores the depths of one woman's own inner torment, the extremes to which we can be taken, and whether or not there is a way out. The story begins with Yelena's daughter. On Yelena's death bed she lets her daughter know that if she'd like to know who her mother really was and what dark secrets she had to hide to get in touch with a man called Noah. Her daughter manages to track him down to find out more but he is unwilling to part with her mum's letters but promises her that when he dies he will leave the letters for her. Only on before his death he doesn't arrange anything for her to receive them but thankfully Yelena daughter she records the conversation and is eventually able to obtain the letters to read. 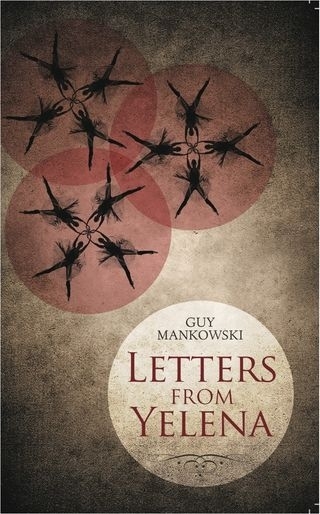 We read along with her and the story of Yelena unfolds through her letters to Yelena, they are interesting and I was curious to know the outcome of the past and present of Yelena's life it was just a shame that at the end of the book she never overcame the cageyness of her life to open up to her daughter. You also never learn about life after Yelena and Noah which we could have heard a little from her daughter which was quite disappointing. Overall I did enjoy the book even though it did get a little weird towards the end. it sounds intriguing but also dark, i am not sure I can bring myself to read it.